Axiom Telecom Samsung Galaxy S8 Big Big Discount Offers @ AED 1,379. Special Online Offers And Deals. Best Electronics In Mobile Offers And Deals In UAE. Capture life as it happens with the Galaxy S8 cameras. The 12MP rear camera and the 8MP front camera are so accurate and fast that you won’t miss a moment, day or night. Prying eyes are not a problem when you have iris scanning on the Galaxy S8. No two irises have the same pattern, not even yours, and they’re nearly impossible to replicate. That means with iris scanning, your phone and its contents open to your eyes only. And when you need to unlock really fast, face recognition is a handy option. The iris is the colored, ring-shaped part of your eye. You never really stop using your phone. That’s why Galaxy S8 is driven by the world’s first 10nm processor. It’s fast and powerful and increases battery efficiency. Plus, there’s the ability to expand storage, and to work through rain and dust with IP68-rated performance. The Galaxy S8 is designed to be more than just smartphones. They’re designed to change how you capture and view your life, whether it’s in 360 degrees or in virtual reality. They’re designed to change how you pay and work on the go. Break down the barriers in your world with the Galaxy S8. From your photos and videos to contacts and music, Smart Switch lets you easily transfer your memories on your old phone to your new Galaxy S8. Now that you know all the memories are coming with you, you can focus on making new ones with your Galaxy S8. Availability of services may vary by device. USB connector is included in the box. The Galaxy S8 is built to be more accessible for everyone. A well-thought-out range of technical solutions make it easy for anyone to make full use of the Galaxy S8’s advanced capabilities. Keep your Galaxy S8 powered and show off your style with this carefully selected collection of accessories. 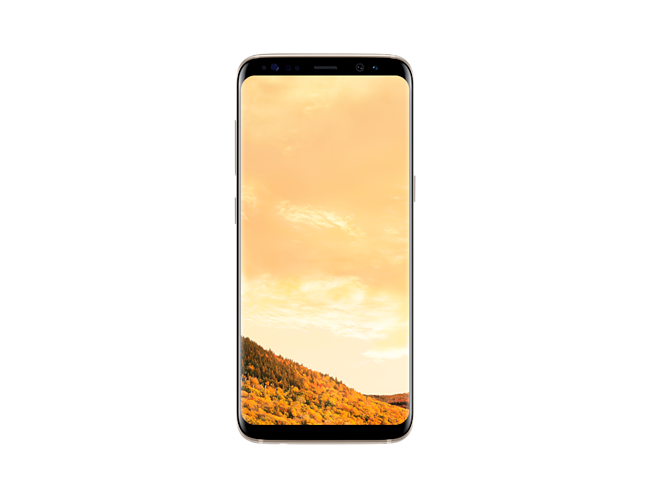 BE THE FIRST TO OWN THE PATHBREAKING SAMSUNG GALAXY S8, AND GET EXCLUSIVE OFFERS ON ETIHAD AIRWAYS AND HOTELS.COM. You never really stop using your phone. That’s why Galaxy S8 and S8+ are driven by the world’s first 10nm processor. It’s fast and powerful and increases battery efficiency. Plus, there’s the ability to expand storage, and to work through rain and dust with IP68-rated performance. Prying eyes are not a problem when you have iris scanning on the Galaxy S8 and S8+. No two irises have the same pattern, not even yours, and they’re nearly impossible to replicate. That means with iris scanning, your phone and its contents open to your eyes only. And when you need to unlock really fast, face recognition is a handy option. *The iris is the colored, ring-shaped part of your eye. Audiophiles rejoice: you can hear the music as it’s meant to be heard because Galaxy S8 and S8+ feature high-quality 32-bit PCM and DSD64/128 playback support. Plus, the included new earphones not only offer premium sound by AKG, they fit better and your ears stay comfortable as you rock out. *DSD64 and DSD128 playback can be limited depending on the file format.